Extreme Heat – Houston summers are brutal. 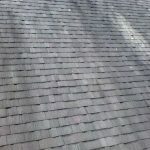 The high temperatures and extreme humidity can cause roof shingles to become brittle and weak. As a result, the shingles begin to break apart and loosen, thus exposing areas of the roof. In addition, with Houston’s ever-changing weather from one day to the next, a heat wave after a period of cooler temperatures can cause the roof to swell. Heavy Rains – The Greater Houston area sees its fair share of rain each year. Heavy rains not only subject your home to flooding, but they can also damage the interior of your roof by leaking into cracks and crevices. Even worse, water can leak through your attic’s insulation, thus collapsing through the ceiling’s sheetrock. 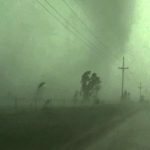 Strong Winds – Hurricane season in Texas brings some of the worst weather conditions of the year. In addition to heavy rains, hurricane season brings strong winds that can wreak havoc on your roof. Storm winds can rip shingles off while also knocking tree limbs and other types of debris onto the roof. This can severely dent or break portions of the roof, leading to severe leaks and other issues. Hail – Texas experiences more hail damage than any other state in the country. 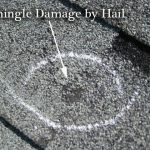 In Houston, hail often the size of a golf ball can cause serious damage to both the roof and entire structure of the home. 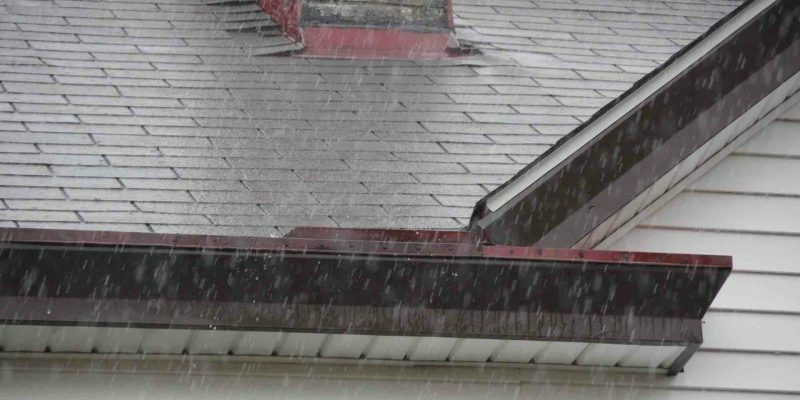 Therefore, after a hail storm hits, our Houston roofing company recommends bringing our roofing experts in to conduct a full inspection of your roof. 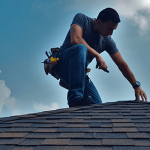 Your Houston roof is constantly being exposed to some of the most extreme and unforgiving weather conditions in the country. Therefore, if your roof is close to the 20-year mark or hasn’t been inspected in a long time, then it’s time for an inspection. 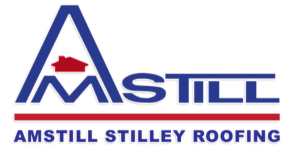 Serving the Greater Houston area, including Memorial, Katy, Sugarland and the Energy Corridor, Amstill is ready to help protect your home with a healthy roof. Call us today to set up a free inspection.